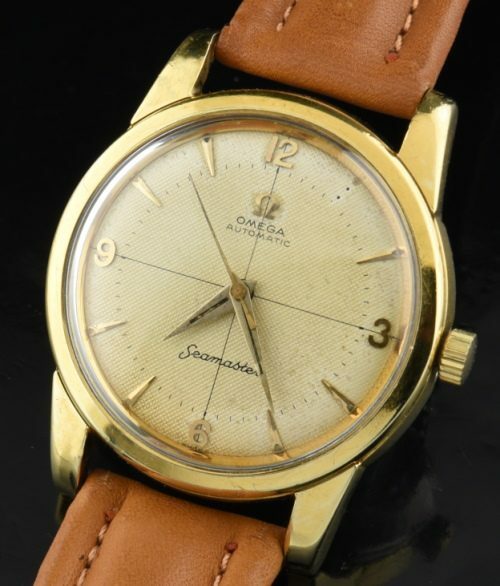 This is a 1956 OMEGA SEAMASTER in a gold capped case with steel back, original crosshair textured dial with nicely aged Explorer style dial and sword style hands. The 20 jewel caliber 501 automatic full rotor movement was just cleaned and is accurate. 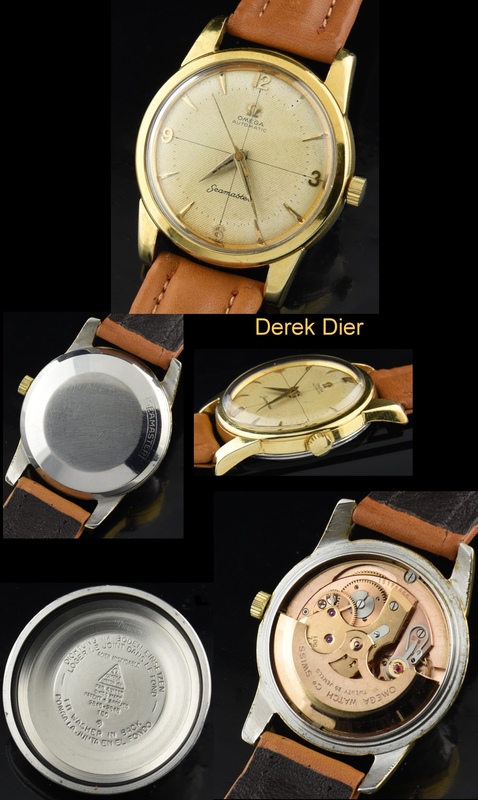 This watch looks great overall and exudes vintage appeal. You can wear this one daily!